Sure, playing custom maps is Simple! Lol, I just love how I find myself including that word so often. Either of those should work, post back if you have any problems. but i get the part about putting the folder ws_sam into the custom map folder but what about the other folders like ws_trains ws_traincars the scenario file interface and industries? like i have instaled other maps before its just ive never seen like 6 folders in the same file…with no readme… do u know where to put em? Ooops, thanks for mentioning that. All of the map’s files should go into “usermaps” once unzipped. Now runtime error eh? Well that comes up when a resource is missing or not where the game expects it. My guess is that you put the custom map files in the correct place. Does the error ocure when you try and start the custom map you installed? Do you have any other custom maps installed? i did put all of the files in usermaps. The FOLDERS not the files themselfs. o and im runing VISTA so that might be the problem. If you still want to play SMRI then you will not be able to use SAM mades while it is installed. As such you can wait to play SAM maps until after you have played through all of SMRI by removing the SAM files/folders you had added to usermaps. Well if you are sure that this is the only SAM you have installed then I really can’t think of anything. I will try and find time to test this map myself to make sure it works, it should though. Just delete the whole C:\Users\…..\My Games\Sid Meier’s Railroads! Folder (I mean completely), Start a game, it will create a new folder of the same name. Unzip the map in the UserMaps folder. hello.anyone still playng ? I have trouble downloading the borneo map.After i put all the files in to the usermaps what i need to do ? Just to be clear for the future, the Borneo map is on a different page but the comments section is locked. That map doesn’t work for me either. The people still involved with the game tend to be more over on “vzbob’s Forum”. You will find the link at the bottom of this page under Related Websites. The only drawback are the security measures regarding setting up an account which is needed for downloads, but the latest version of all the maps are over there and there are many new ones, 180 or so currently. There’s a fixed version of Borneo which I have played successfully. Sorry, I can’t help you get on the other site. As I said, security is tight. It may be that your IP is somehow suspected of being involved with malicious activity. These sort of measures may seem unfair, but at the end the site is maintained by an individual with their personal resources and they simple can’t deal with problems that hacking etc. would cause. This site has a forum that doesn’t have as much security. You might try to sign up there. This may take awhile to be approved since the admin doesn’t have much time. I have the same name there. PM me and I will help you get hold of a working copy of the Borneo map. Also if you sign up, I can more easily help you with any crashes or other problems you have. 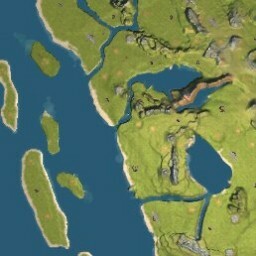 BTW, the forum on this site has an unfinished map section. You will even find some extra “finished” maps there. Perhaps something will trigger your interest. what is the name of the forum ? The second one I mentioned is on this site, smrsimple. Go to the top of this page and look for the section, Forum, in the header. after my account is created(i mean after they accept) what i need to do ? Find my profile, railage, on there and send me a private message. It may take awhile for your account to be accepted so be patient. As I said there are at least a couple new maps that aren’t currently in the database that you can download and play in the meantime. Good. i will contact you. they will send a email no ? Sebastian, I really can’t say when admin will approve your account. I decided to just upload the best version of the Borneo map. Hey sebastian, I have activated your account. Sorry the process is only documented in the one sticky post. The webserver cannot send email so I rely on people emailing me to know to activate their accounts.